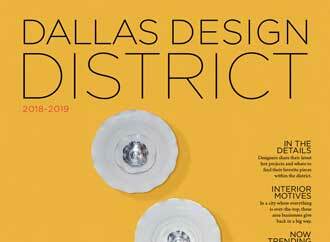 Dallas Design District - The Heart of the City! Experience a cultural fabric of namesake interior design showrooms, art galleries, fine dining establishments, luxurious apartment homes, boutique hotels, and a vibrant live/work/play community. Art galleries are migrating to the Dallas Design District and have been for nearly a decade! The Design District is now the epicenter of the gallery scene in the city, and a place for art lovers to find everything from French impressionism painting to contemporary installation art. The Design District is much more than designer showrooms, the area is now seeing apparel retailers who sell everything from custom tailored men’s suits to women’s fashion. Dragon Street is renowned for its antique shops, mid-century modern furniture, and some of the coolest vintage thrift shops in the city!